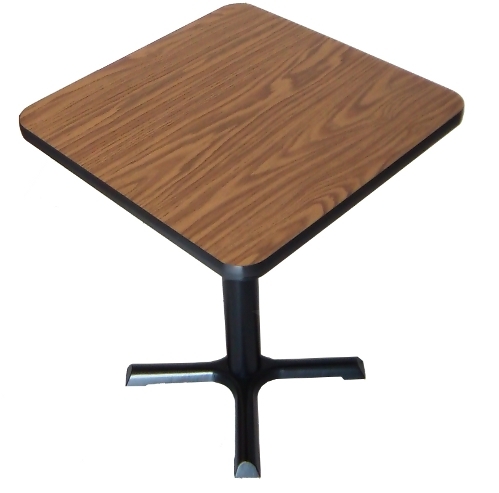 42 inch square table that features a high pressure laminate top, and vinyl edge mold. No matter the color scheme in your establishment, we have a laminate to compliment it. 29" standard table height with an optional 42" bar height. Table Weight 29"H 96 lbs, 42"H 99 lbs.